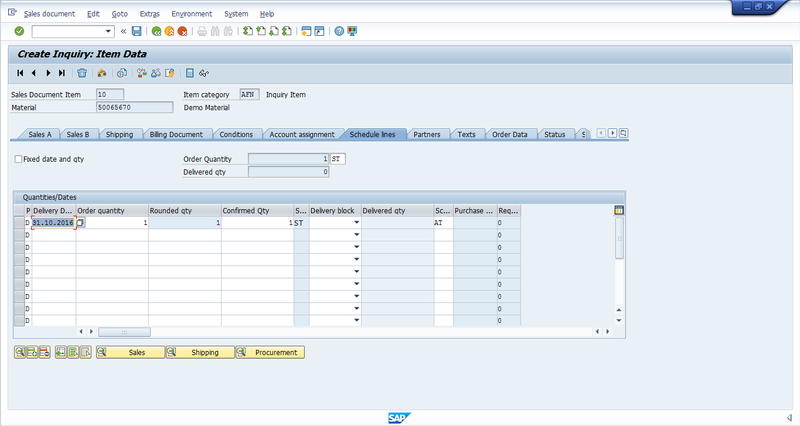 In this SAP SD tutorial, we will talk about inquiries in SAP Sales and Distribution. 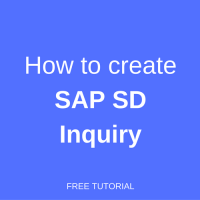 You will learn what SAP SD inquiry documents are used for and how to create them. We will provide screenshots and guidance that are relevant for this process. 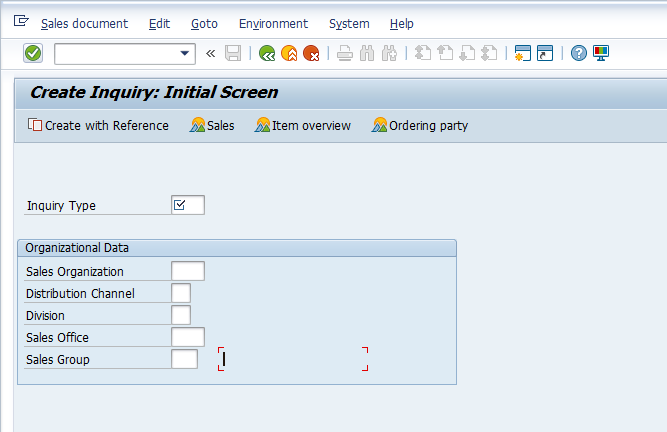 Once you have entered the Inquiry: Creation Initial screen, you have to select relevant Inquiry Type. 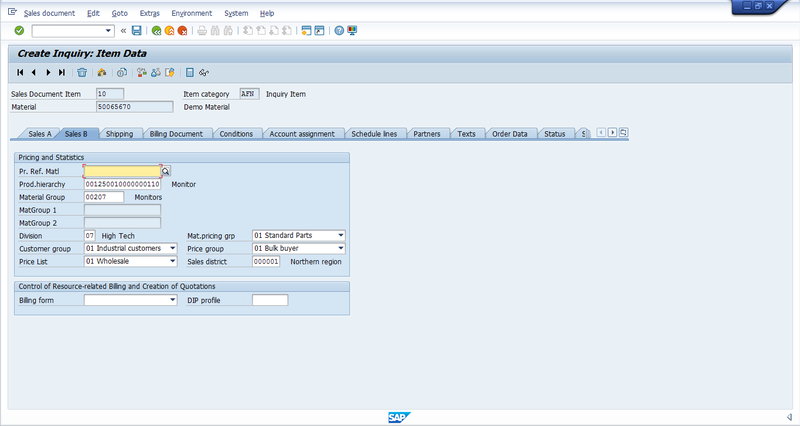 Each Inquiry type has its own functionality and viewing based on the configuration done at backend. Please note, any field having a ‘tick mark’ means its mandatory and it has to be populated, else the SAP system would not allow you to proceed further. 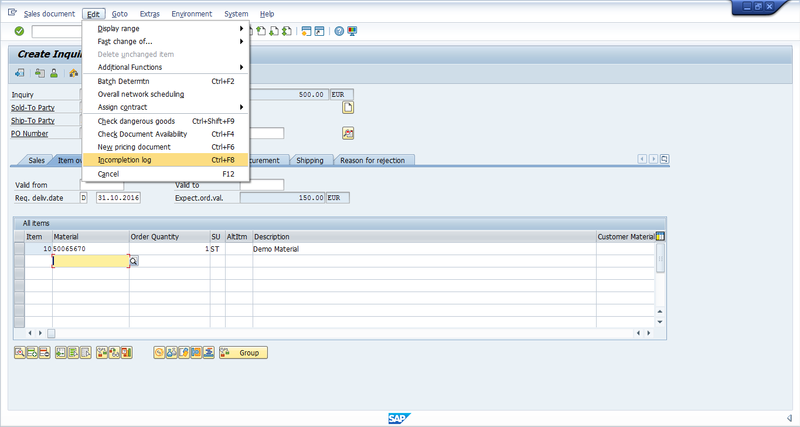 In Inquiry, to opt for a required Inquiry type press F4 button on the respective field and it will show all LoVs (List of Values). 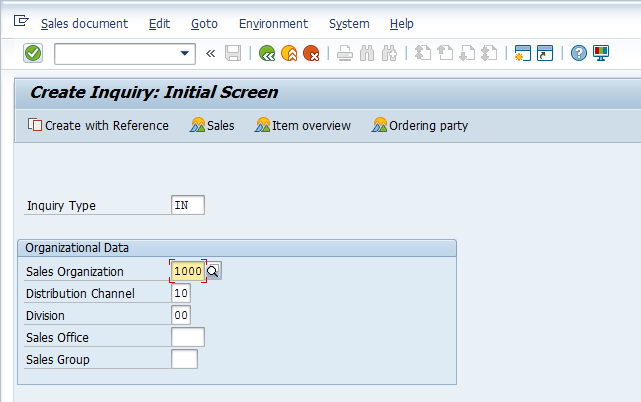 Select the relevant Inquiry type to proceed to the next step. Populate Sales Organization with your relevant Sales Organization, Distribution Channel and Division. Click Enter button. 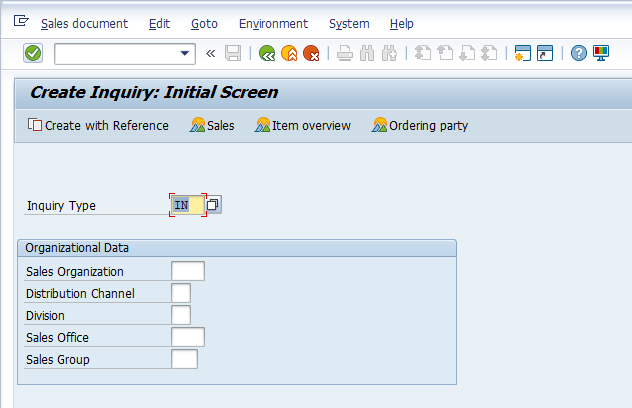 Hint: if you populate your relevant Sales Organization, Distribution Channel and Division first and then opt for the relevant Inquiry type, only Inquiry types relevant for the selected Sales Organization, Distribution Channel and Division will be displayed in LoVs. The following master data is involved when creating an inquiry. This master data fetches relevant information and populates the relevant fields accordingly. Partners associated with the Customer I.e. Ship to Party, Billing, Payer etc. 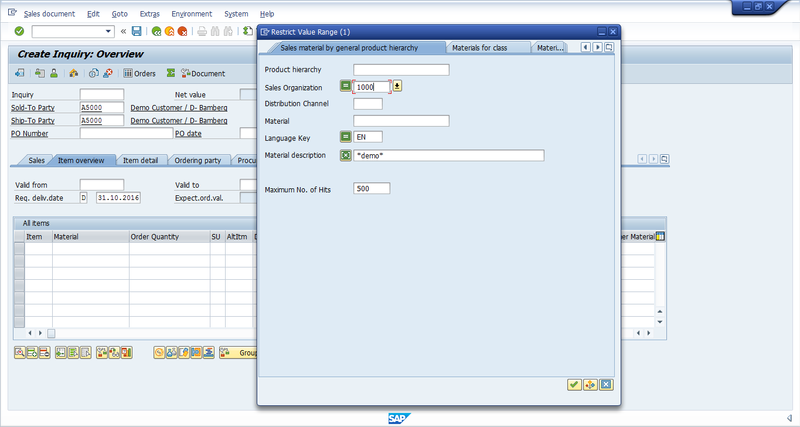 This is the initial screen of Inquiry once you have selected the relevant Inquiry type and Sales Area (combination of Sales Organization, Distribution Channel and Division is technically termed as Sales Area in SAP SD). 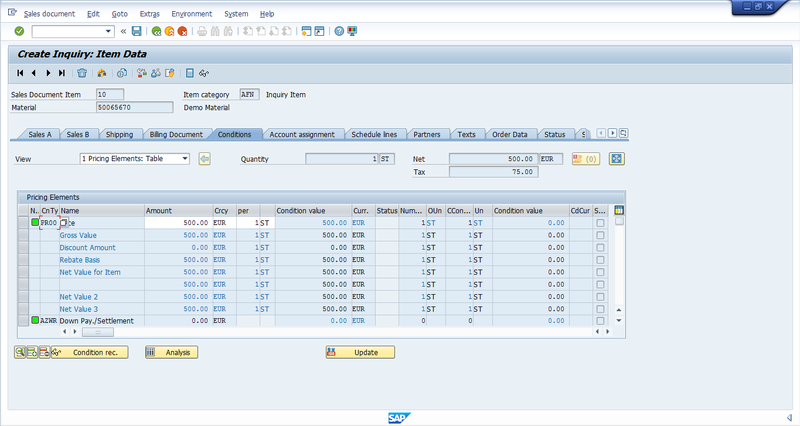 You can see Sold to Part and Ship to Party fields at the top left of the screen just below Standard Inquiry field. Sold-To Party is one who is responsible for Inquiring Products and actually places the Inquiry with your company. Ship-To Party is one who will be receiving the goods. One Sold-To Party can have multiple Ship-To Parties. If there are many Ship To parties associated with one Sold-To Party, a dialog box will pop up in the Inquiry screen. You can select the relevant Ship-To Party from this dialog box which the Sold-To Party has instructed you to ship the products to. 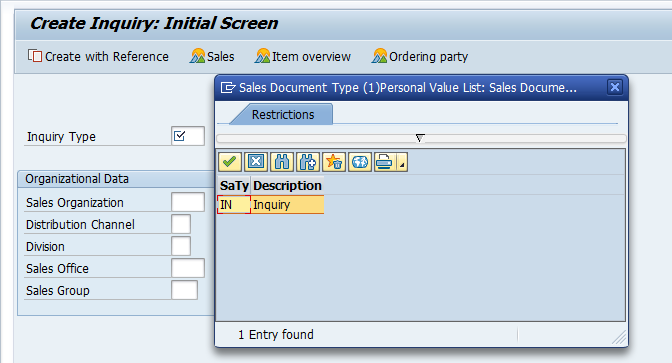 Press F4 or button on the Sold To Party field to search for your relevant Sold-To Party. You can search by Search Term maintained in the Customer Master or also by Name. To remain specific with your search, enter relevant Sales Organization, so that only customers maintained in your Sales Organization will be displayed. 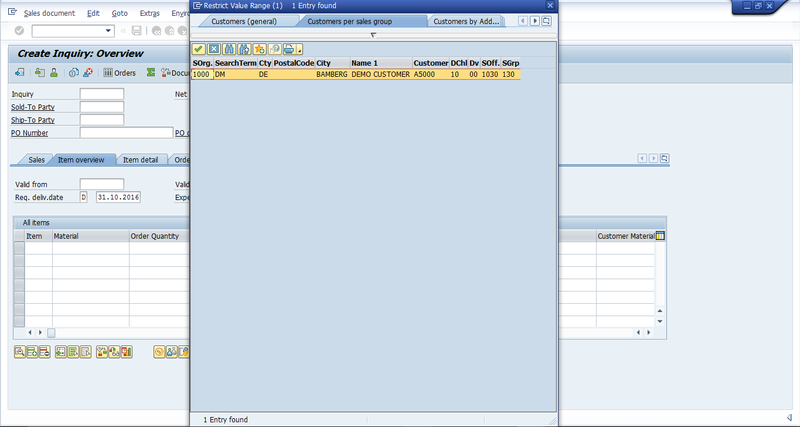 If you decide to find the customer by name, enter customer’s first name with * before and after the name. This is called wild card search. 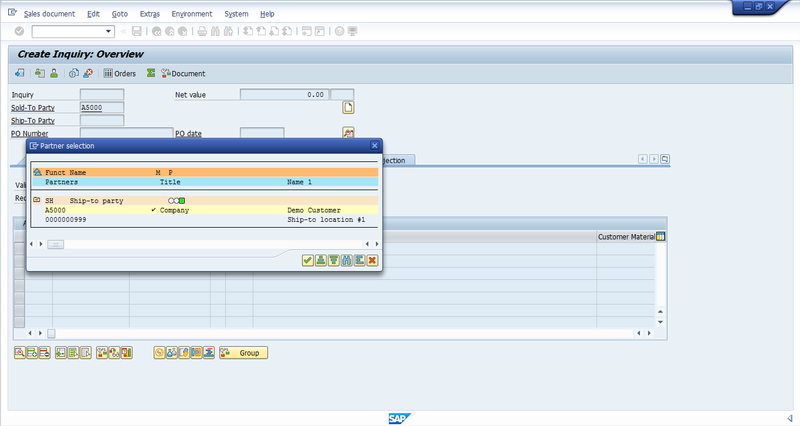 Double click on the required customer line in an inquiry to select that customer. Press Enter once you have selected the Sold-To Party, so that system can accept the customer and proceed with the creation of SAP SD inquiry. Since this Customer has two Ship-To Parties, a dialog box is popped up to select the relevant one which your customer, Sold-To, has instructed. 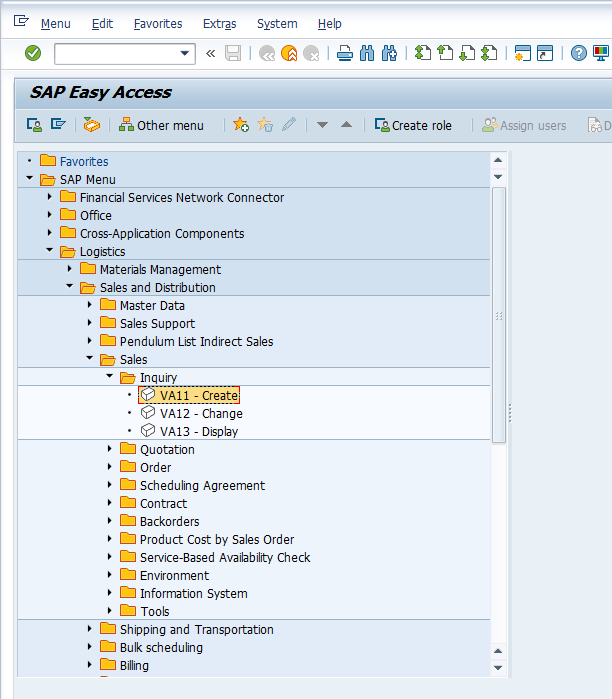 Double click on the required one and the same will be selected. If there’s only one Ship-To Party, once you press Enter, Ship-To Party will automatically get populated. 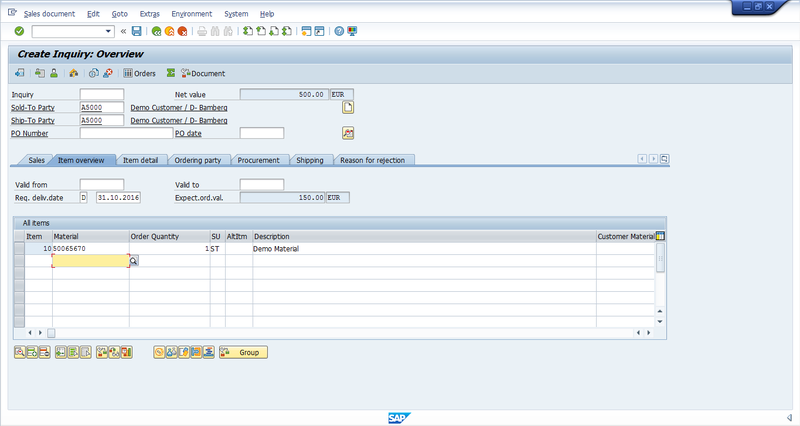 Use F4 button to search for the material the same way we did it for a customer and repeat the same process for entering multiple line items (if required). Double click on the desired material to select it. 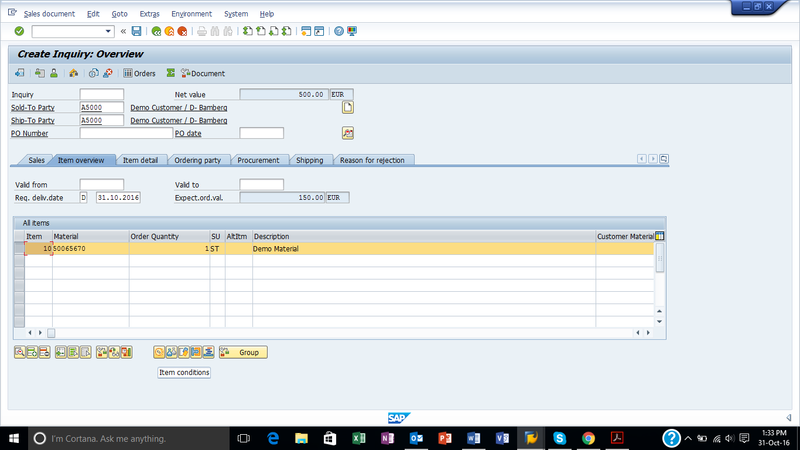 The incompletion log helps to check if any mandatory data is missing in the inquiry. To start it go to Edit > Incompletion Log or press Ctrl+F8 to see if the inquiry is complete. 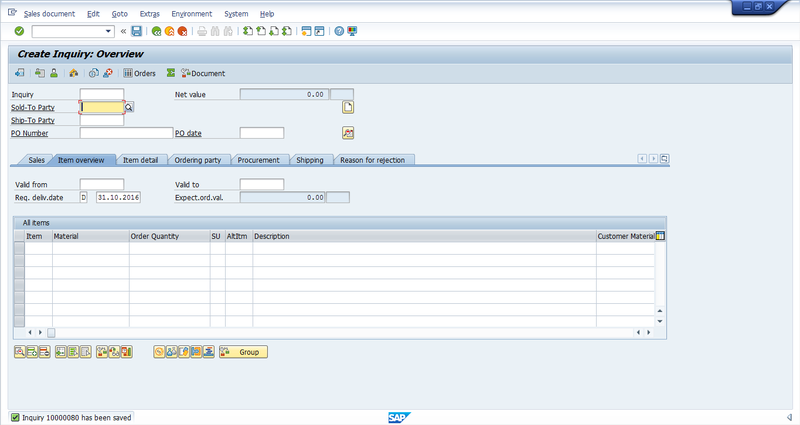 If the document is complete, the system will prompt the relevant message accordingly: . Press button to view header details in the inquiry. Press button to go back to the main inquiry screen. Press to see if this material is confirmed and available to be delivered on the Required Date of Delivery. Press to go back to the main inquiry screen. Once you have created the Inquiry and satisfied with the information populated, press or CTRL+S to save the Inquiry. 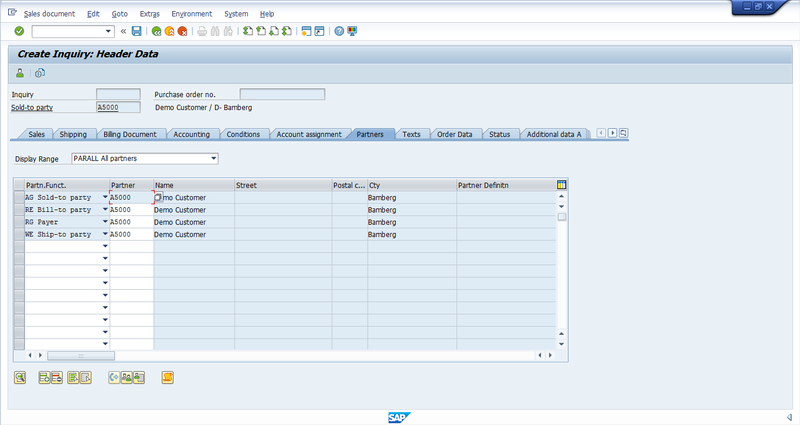 The SAP system will output a message at the bottom of the screen that the inquiry has been saved and mention the number of the inquiry. Very detailed. 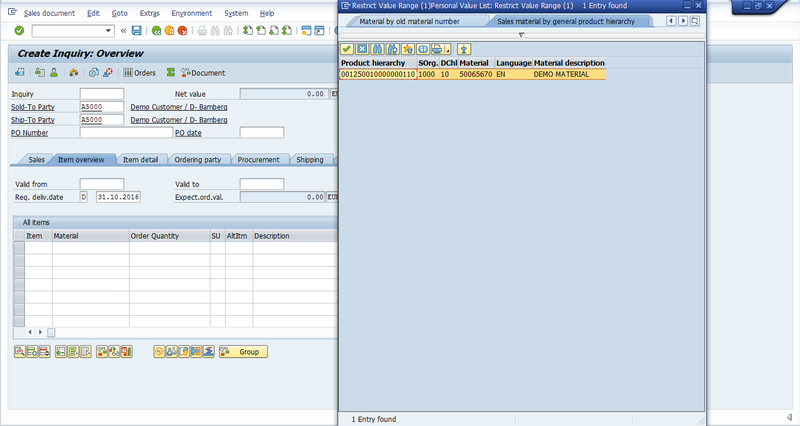 Would there be any help guide to show possible errors while creating inquiry and how to resolve it? Thank you for the suggestion! We will think about creating an additional tutorial with tips about troubleshooting common problems in creation of inquiries. Are there any particular errors that you would like to be discussed? 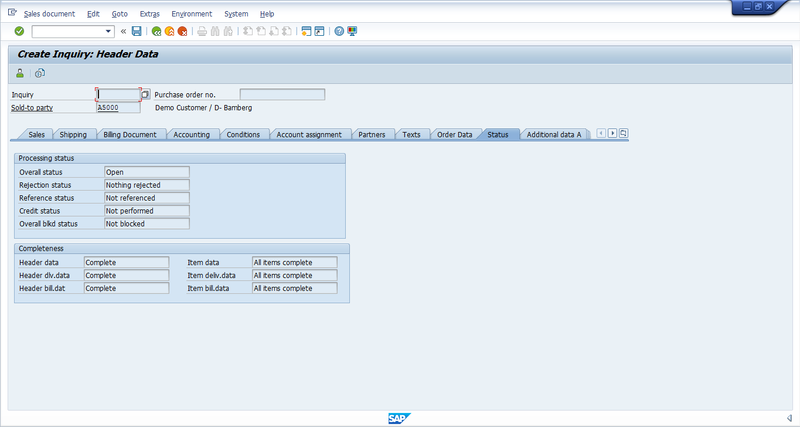 Check other tutorials in this course: SAP Customer Master Data and SAP SD Material Master. They will answer your question. Hi Cleo,I am manju from India i need to learn Sap sd ,free online class are you Provide.